Those familiar with UFO history know well the story of Betty and Barney Hill. They are the first well known abduction case in modern times, and their story serves even today as an influence on TV, movies and books. It is also a suspected influence on other abduction experiencers. While Betty and Barney’s experience was a departure from the formerly more friendly alien and human interactions reported, it was not until their story was widely reported that abductions experiences like theirs were reported in large number. Possibly people were afraid to report these abduction experiences, or perhaps the Hill story influenced the memory of new claimed abduction cases. Still, those that think Betty Hill’s UFO interactions began and ended on that New Hampshire night in 1961 would be wrong. Betty had a life long involvement with the UFO community, as a speaker, writer and friend to others that had possible abduction experiences. People that knew Betty speak of her as a friendly gregarious and curious woman. She received many letters from around the world from people that had a similar experience to hers. It is obvious she corresponded with many of these people that reached out to her from the Milne Special Collections, University of New Hampshire Library, Durham, N.H. It’s a wonderful resource, and the staff is very helpful. Well worth a visit. The collection was also featured on the TV show “Mysteries at the Museum”. One thing Betty continued to do over the years was to view UFOs. She had a viewing site nearby where she liked to go, and kept copious notebooks about each nights sightings. It is a tribute to her dedication that she went for years to this spot to view UFOs, some of which she had affectionate nick names for. 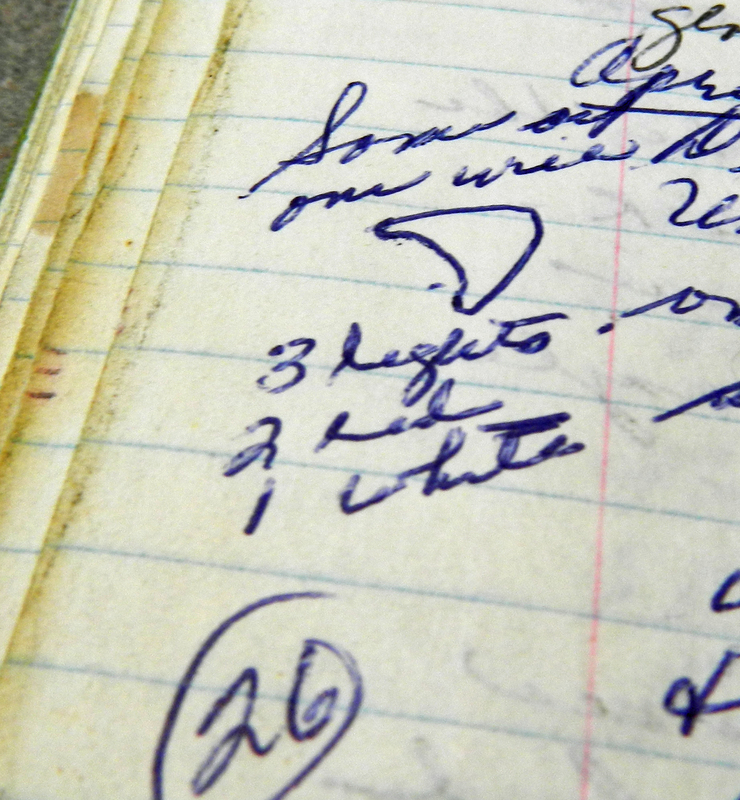 Her notebooks, handwritten, have been transcribed. I find it more interesting though to read the original handwritten notebooks. The most interesting part of the notebooks are the margins. There Betty had included small drawings, perhaps of the type of spacecraft seen. She included light colors and sometimes a nick name of a favorite craft. “Baby” seemed a particular favorite of hers. She even went back into her notebooks to note the first time “Baby” appeared. There seems to be some division even among the UFO community if these later sightings can be taken seriously or not. Her friends, including the nice gentleman that passed on the “secret viewing site” location to me, believe that Betty was serious about these UFO sightings. He felt she was of sound mind and scoffed at anyone suggesting that after Barney died she became slightly daft and was an unreliable witness. He fully believes she saw UFOs at the site and that UFOs can still be seen there. The point is that while people are often comfortable with the Hill abduction in 1961, they feel less comfortable about multiple UFO sightings in one night. Still, one has to remember her friends did not report that they felt she changed after Barney’s death. The few people that knew Betty I have spoken to were firm that she was bright and active up until her death. The interviewer, who obviously had not seen Betty in awhile felt she was the same Betty he had known before. In other words, you can’t pick and choose what Betty Hill you want to believe. I admire Betty for having such loyal and wonderful friends, that remember her as the intelligent and curious woman she was her entire life. As a skeptic, I can doubt Betty Hill saw multiple UFOs night after night, but I can not disprove this anymore than I can disprove the initial UFO abduction. 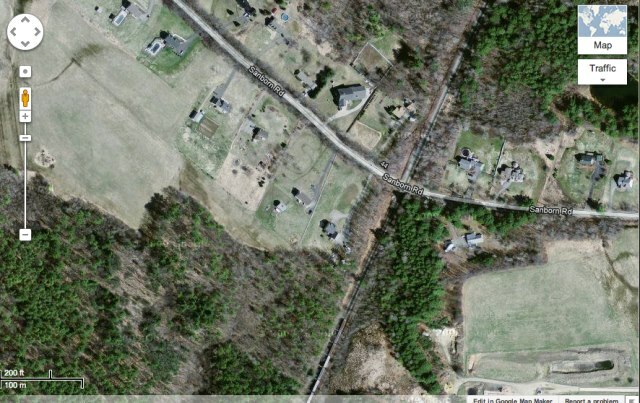 I have been to the site, and certainly have my own theory about the multiple lights I saw there. 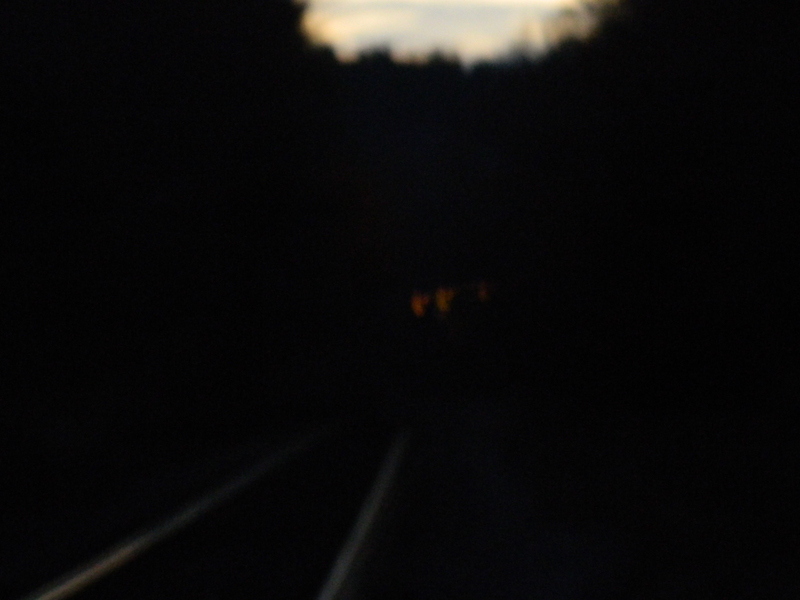 It was just as Betty claimed, if you looked in a certain direction down the railroad tracks, you would see lights. The other direction was total darkness. My 2012 photograph from the viewing site. Lights did show up, but I suspect a more terrestrial explanation. Still, her notebook marginalia give us a good quick glimpse of what she saw when visiting the site. UFO researchers have a treasure trove of information here. I find the variety of the UFOs reported bewildering. I think of our own space craft, each generation might be slightly different but are for the most part the space craft look the same. If aliens are visiting our planet they are coming in a wide array of craft. Betty in what appears to be a typed draft of her book on page “29” ,which is hand written in the corner, talks about taking a visiting friend to her site. Obviously people going to the site believed they were seeing UFOs. There is of course this less than flattering account of a visit to the site, brought to my attention by UFO expert and skeptic Robert Sheaffer. A October 15, 1977 newspaper article from Foster’s Daily Democrat, Dover NH by George Burke, quotes UFO investigator, John Oswald as saying “She is seeing things that are not UFOs and calling them UFOs.” He also claimed she couldn’t distinguish “Between a UFO and a streetlight.” Oswald made clear in the article he was a firm believer in UFOs, just not those that Betty Hill was seeing at her viewing site. Still, Betty’s marginalia depicts what she believes she saw. Her meticulous notes are of historic interest to skeptics and believers, and I am glad her notebooks are available to the public today. There is no need to “disprove” the claims of Betty Hill, or anyone else who claims a UFO encounter. It is up to them, or their supporters, to prove it, solidly, with scientific rigor. Until then, the “null hypothesis” reigns unchallenged. Part of the problem with being a skeptic is that there is always going to be another tree for Bigfoot to be hiding behind. Robert is 100% correct, sanity requires the claimant provide the evidence. Also things that “can’t be explained” does not mean those things are “paranormal”. Paranormal often isn’t even a logical choice, as say how can footprints be of Bigfoot when we don’t even know if they exist?